Introducing the Bottega Veneta Fall/Winter 2019 Runway Bag Collection. This is the debut collection of new Creative Director Daniel Lee, who succeeded Tomas.. Introducing the Valentino Fall/Winter 2019 Runway Bag Collection. Valentino has presented a variety of flap bags in the runway. The bag collection mostly.. Introducing the Hermes Fall/Winter 2019 Runway Bag Collection. In this new collection, Hermes presents classic and minimalist designs. The Constance is back in.. Introducing the Celine Fall/Winter 2019 Runway Bag Collection. While Hedi Slimane’s debut collection for the brand received much criticisms, his new one presented.. Introducing the Chloe Fall/Winter 2019 Bag Collection. 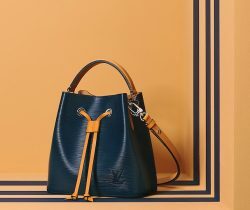 The Chloe C Bag from the Spring/Summer 2019 Collection returns to the runway in new colors,..